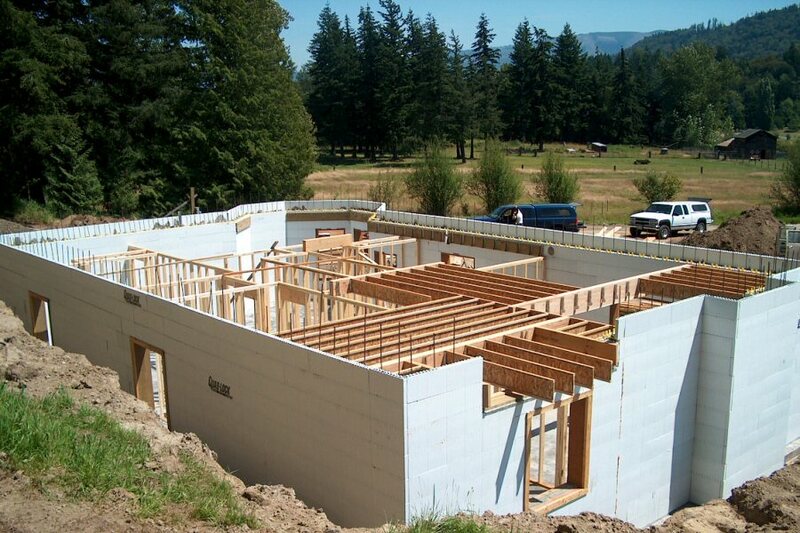 ICF or Insulated Concrete Form construction is a newer type of construction used in residential homes. 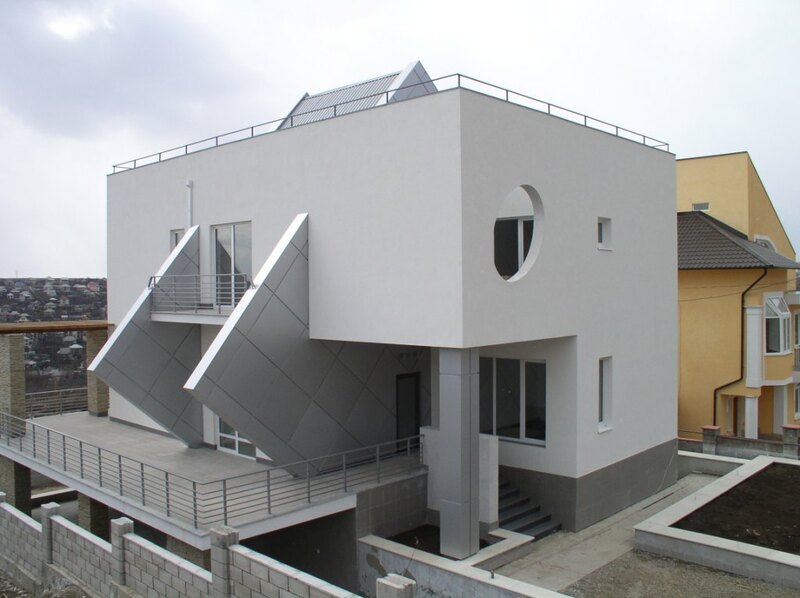 It uses twin panels of thermal barrier insulation to act as the building blocks of the home. First, the panels are put in place to the height requirements, all of the panels are secured and reinforced with steel rods and rebar, then concrete is poured between the boards to form a solid and durable wall. Let’s take a further a look at the huge advantages that come with ICF construction. Building homes with ICF is not an entirely new concept in general construction but it has recently become a popular and more environmentally conscious choice. 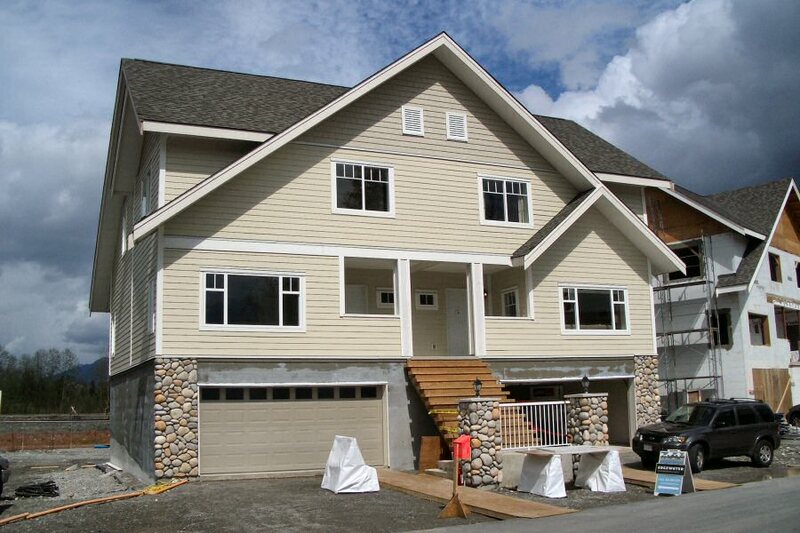 With classic lumber construction, you won’t get the same benefits that you can enjoy with ICF. Expect energy costs to lower by up to 70% per year while your home stays cool in the summer and cozy in the winter. Building a new standard lumber home can be an ambitious project that can take months and months to complete and rarely ever on time. However, that’s the difficulty of traditional construction. When you deal with lumber you might come across multiple delays caused by weather damage, warpage or mildew. With ICF construction you will never have to worry about your “bricks and sticks” process holding up your project. With triple layers of solid barrier provided by the ICF design, you will have the most powerful home insulation system available today. The insulation panels themselves act as a strong thermal barrier and the concrete core is excellent for heat retention. You couldn’t ask for a better combination of elements. The concrete barrier keeps your basement warmer in the winter and your whole home cool in the summer heat. ICF is also moisture resistant and thereby keeps mold and mildew at bay. If you want a safe, secure and durable home, use insulated concrete form construction. This ensures that your structure stays strong for many generations. Additionally, it keeps your home safe from vicious storms, hurricanes or even tornados. ICF allows you and your family to feel secure no matter what weather comes along. Concrete is also fire resistant and is much less likely to become irreparably damaged due to home or wildfires. 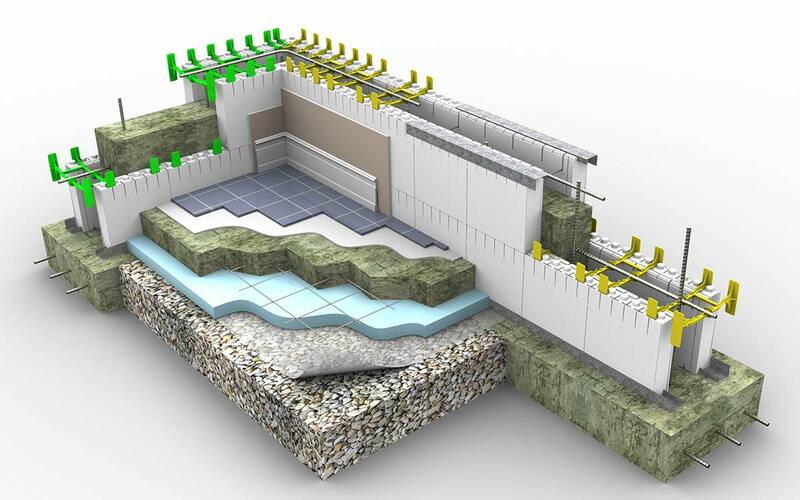 Rain, moisture and cold are no problem for the specially insulated concrete form barrier because of its design. Made with all recycled and non-hazardous materials, the outer layers of foam provide no liveable environment for bacteria or mold to grow. When you build a home with the traditional construction methods, it might easily take a year to complete. Your schedule is dependant on many variables including size, location, and weather, but the construction period is still quite lengthy. With the ICF method of construction, your building panels are cut and in place with concrete fill on a much quicker timeline. 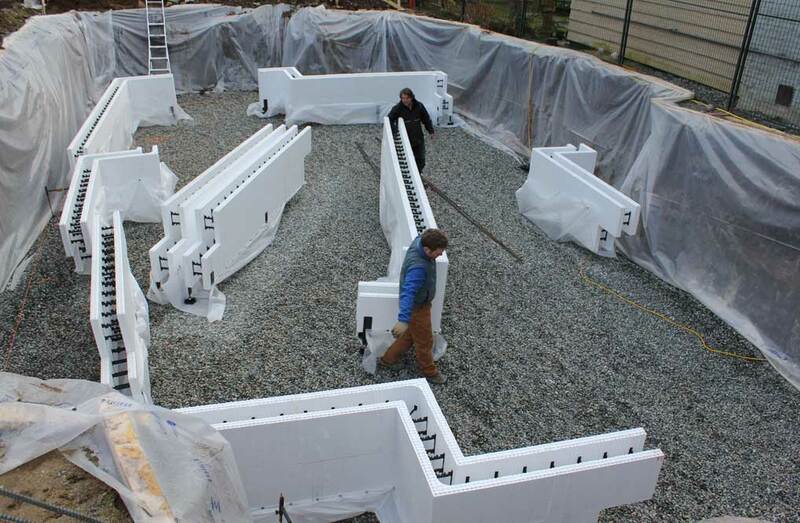 The labor costs reduce significantly because ICF materials are easy and lightweight to handle and fit together like Lego pieces in precisely cut sections. You will not only save time, but you will save money on delays that can hold up your project. It is clear that with ICF construction your home is durable and resistant against storms and fire, constructs in less time and affords a triple insulation environmentally conscious choice. We hope that with this excellent information, you consider insulated concrete form construction for your next beautiful new home.